Today I´m reviewing the Slate Virtual Microphone System (VMS). With VMS Slate is trying bridge the gap between professional studios and home recordists, by making the classic sound of the most sought after vintage microphones available to everyone. 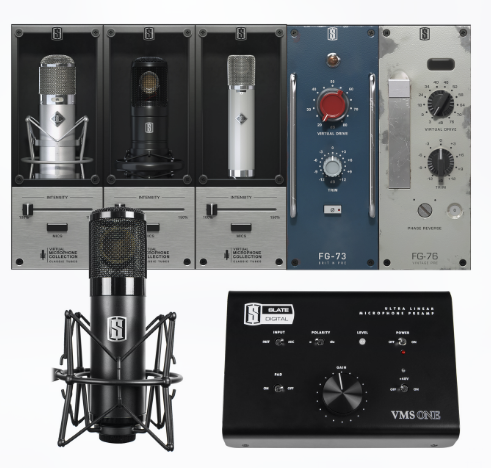 VMS provides you with a transparent condenser microphone and a neutral sounding pre-amp. Slate has captured and modeled the sound of several highly-acclaimed vintage microphones and by using their VMS plugin, you´ll be able to transform your neutral and clean sounding microphone into any of the vintage models. All of the microphones in this collection are widely considered the best microphones in the world. – Any recording engineer´s dream. Unfortunately most of them are hard to come by and a lot of them are priced well beyond $10 000. There´s a lot of discussion going on about the VMS: Is it actually possible to recreate the sound of the best vintage microphones with software? To the point where you can´t tell a difference? I hope you´ve enjoyed this demo and review. Download the Raw Stereo Audio Files HERE! What did you think? Did the Slate VMS convince you?